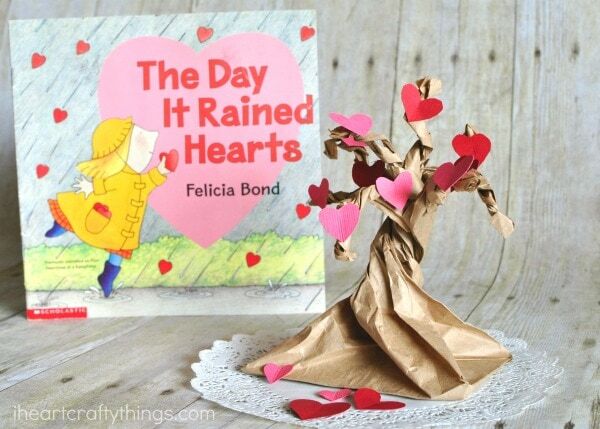 My absolute favorite Valentine’s book is The Day it Rained Hearts by Felicia Bond (affiliate). In the story I love how Cornelia Augusta sees the uniqueness in each of her friends when she is making them Valentine’s. The story gives my heart the warm fuzzies every time I read it. Every year we’ve made a fun craft to go along with The Day it Rained Hearts and this year is no exception. 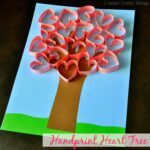 This time though instead of focusing on the raining hearts, we made this Valentine Heart Tree Craft reminiscent of the ending in the book. 1. Begin by laying your brown paper bag out flat. Cut a strip about every half inch across the bag, cutting halfway down the bag. Open up your bag. 2. Cut out a piece of cardboard to place in the bottom of the paper bag to help with stability. Hold the base of the bag and twist the middle to make the base of the tree. 3. 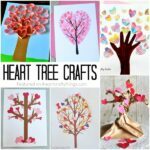 Take a few of the loose strips you cut and twist them together to make tree branches. Continue until all the loose strips have been made into branches. 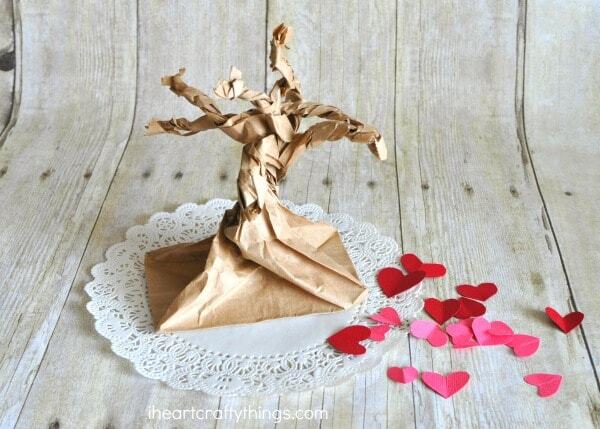 Here’s a great picture tutorial for how to make the paper bag tree. 4. Add glue to the bottom of your paper bag and glue it onto your doily. 5. 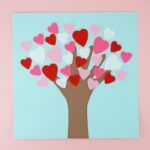 Cut out small hearts from your red and pink cardstock or construction paper. 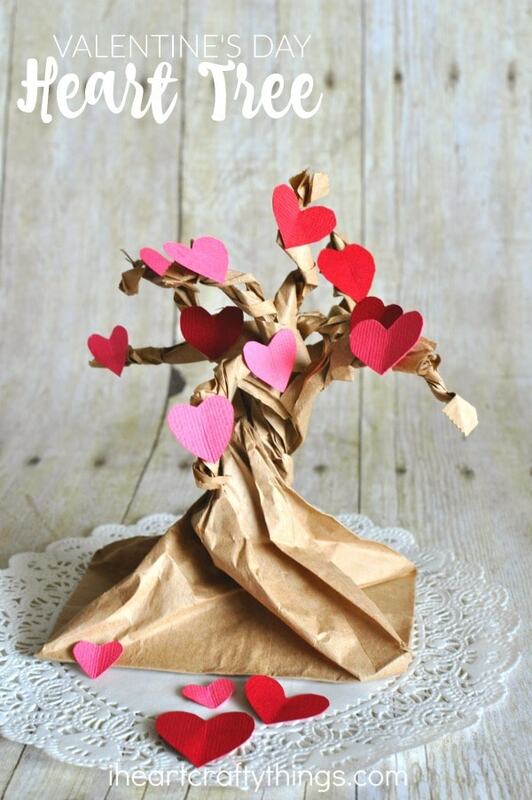 Finish your Valentine Heart Tree Craft by using your tacky glue to glue the hearts all over your tree. Do you love The Day it Rained Hearts too? 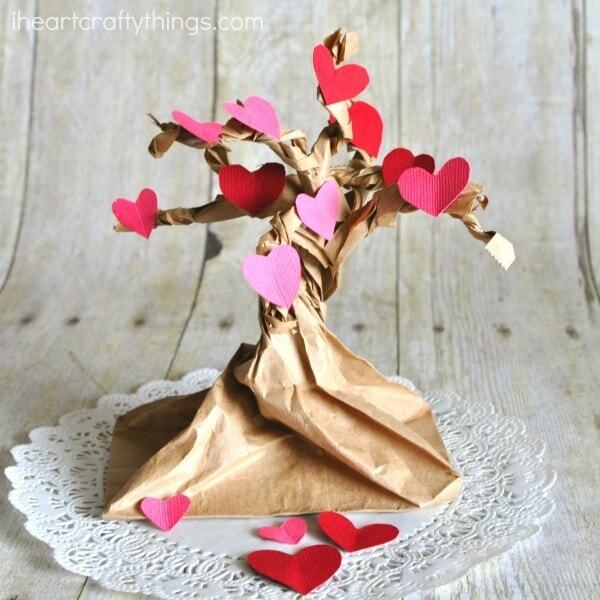 If so, you’ll love our Raining Hearts Crafts and Sensory Bin that goes along with the story. 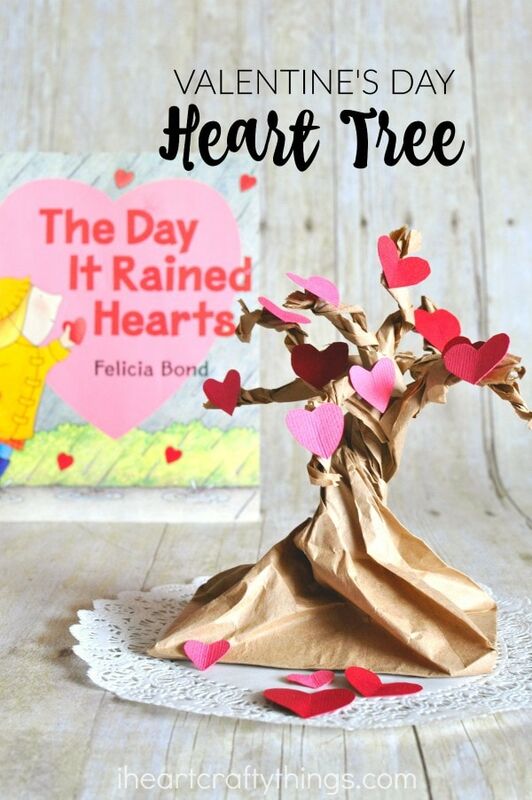 The Day it Rained Hearts is my fave Valentine’s Day book too! What a beautiful way to commemorate such an adorable book.